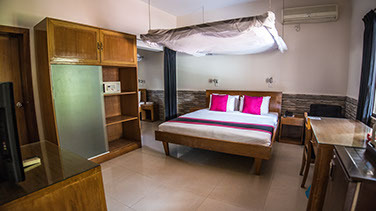 Among all other facilities, the Dutch Club provides a Guest House with 14 rooms: 10 standard guest rooms and 4 large family guest rooms, all with en suite bathroom, complimentary breakfast, free WiFi internet, A/C, room service and more. - In case a room is occupied with more than 2 adults, an extra charge of BDT 500 per night for breakfast will be applicable. - Cancellations are accepted up to 72 hours prior to arrival. 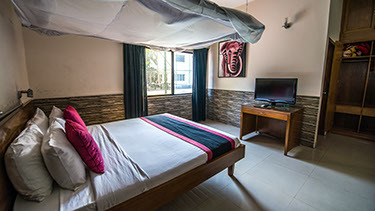 Late cancellation or no show will lead to one night at the applicable room rate to be charged.